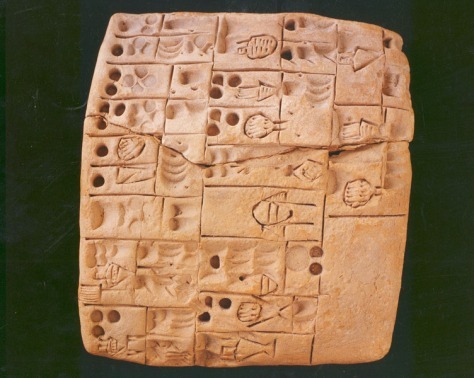 Archaic writing tablet from Mesopotamia (about 3000 B.C.). The tablet, which contains proto-cuneiform writing, belongs to the most ancient group of written records on Earth. It contains calculations of basic ingredients required for the production of cereal products, such as different types of beer.